Shanks Law Firm Helping those injured! Personal injury can strike anyone. If it does, you need a firm on your side, fighting to ensure that you are provided the benefits you need to cover costly medical bills, repair expenses and to provide closure.  At Shanks Law Firm, we protect clients throughout Nebraska and Iowa from insurance companies, advocating on their behalf to ensure that they are provided the insurance benefits and compensation they deserve following an accident. Our personal injury attorneys are experienced and knowledgeable, equipped to quickly identify the strengths and weaknesses of your claim and build a case on your behalf. We cover all personal injury matters, including auto accidents, wrongful death, medical malpractice, nursing home abuse, workers' compensation and wrongful death. We provide highly personalized attention and are always accessible to our clients. We will return your phone calls promptly with the information that you need. We are committed to guiding you through the legal process, equipping you with answers and information at every step so that you are empowered to make the decisions that are best for you, your situation, and your family. With offices in both Council Bluffs and Omaha, our firm provides representation throughout both Nebraska and Iowa. Our firm has handled personal injury cases since 1984 and is highly knowledgeable of both states' laws and complexities. We understand the expensive nature of these circumstances and take all personal injury cases on a contingency fee basis — you owe us nothing unless we produce positive results. Contingency fees relieve some of the financial stress of filing a claim. We provide free initial consultations to discuss your case and begin preparations. For a FREE CONSULTATION, please call today at 712-227-3020.